The Cocktail DB is a great resource for researching cocktails. You can search an exhaustive database on specific ingredients, or find the basic recipes to thousands of cocktails by name. 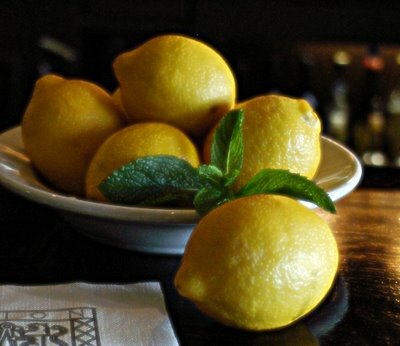 I thought I'd do some research over there lemons as they relate to cocktails. Sorry, your search returned too many matches! (1729) Please refine your search to make it more specific. Sorry, your search returned too many matches! (1216) Please refine your search to make it more specific. Sorry, your search returned too many matches! (508) Please refine your search to make it more specific. For this weeks drink, I wanted to go with a classic sour-style drink, the Sidecar. Shake and strain into a cocktail glass. Sugared rim optional. Embury states he knew the sidecar's inventor from his days in Paris, and it was named after this fellow's motorcycle sidecar. He also mentions that it had been simplified from the original "six or seven" ingredients (interestingly, none mentioned). I think the simplicity is what makes the sidecar work. The lemon and sugar are a perfect counterpoint to the cognac's complexity. Adjust the recipe to balance the type of cognac you use and your preferences. Once you nail this one down, head over to the cocktaildb and start on the 1729 other lemon cocktails. Or you could point your browser at Mixology Monday V: Lemon. Um, what's wrong with a nice gin martini with a lemon twist?? ?